Congratulations to Lalita Thakali who recently completed her Ph. 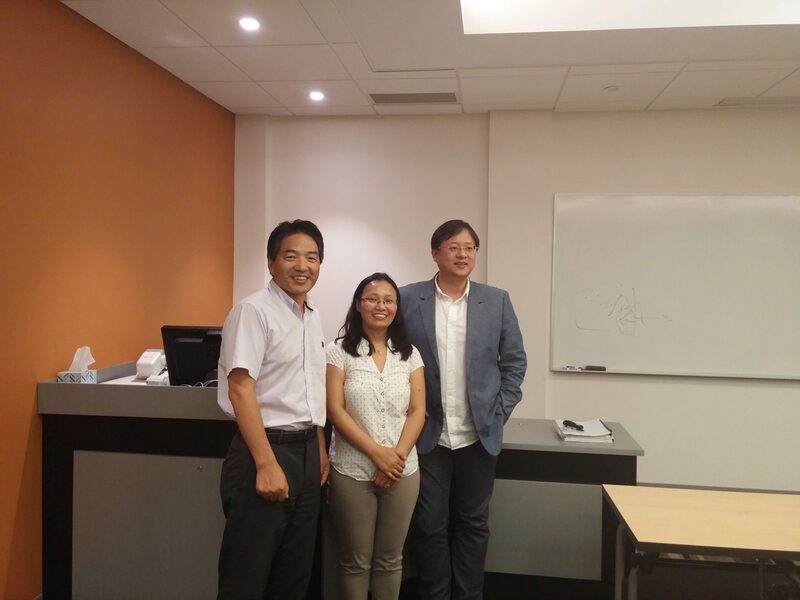 D. defense on July 29, 2016 under the supervision of Dr. Liping Fu and Dr. Tao Chen. Defense committee members included Dr. Changbao Wu (Statistics and Actuarial Science, University of Waterloo), Dr. Frank F. Saccomanno (Civil and Environmental Engineering, University of Waterloo), Dr. Mahesh Pandey (Civil and Environmental Engineering, University of Waterloo) and Dr. Bhagwant Persaud (Civil Engineering, Ryerson University). Her thesis was titled “Nonparametric Methods for Road Safety Analysis” which introduced, tested, and evaluated the effectiveness of non-parametric models, specifically kernel regression, as an alternative technique for road safety analysis. During her PhD term she has published a number of conference and journal papers and was the recipient of the “Student best paper award” by Canadian Association of Road Safety Professionals (CARSP) in June, 2016. She will continuing her work at the iTSS lab in the coming term as a research assistant. ⇐ Congratulations to Dr. Tae J. Kwon!